As you enter our church, you will find an atmosphere of worship and reverence. Large or small, grand or humble, the focus of worship in the Episcopal Church is the altar or holy table, and the cross. So our thoughts are drawn immediately to Christ and to God whose house the church is. On and near the altar you will find candles to remind us that Christ is the “light of the world” (John 8:12). Other than in the season of Lent, flowers often adorn the altar, bringing beauty to God's house and recalling the resurrection of Jesus. On both sides at the front of our church, your will see a lectern or a pulpit. On your right is the lectern where you will see and hear members of our congregation come forward and read from the Scriptures chosen for the service. They will also ask you to join them in reading from the Psalms, and read the Prayers of the People from the Book of Common Prayer, the red book found in your pew. At the pulpit on your left, the sermon is usually preached though our priests/rectors sometimes choose to stand and deliver their sermon more informally between the two lecterns. 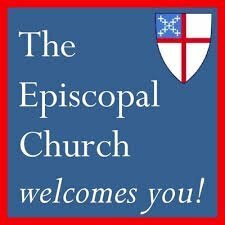 Episcopal or Anglican church services are congregational or, in modern parlance, participatory. An usher will hand you a printed program that describes each step in service (or you may find programs at the front and back of the church). In your pew you will find the Book of Common Prayer (BCP), which enables you and the rest of the congregation to share fully in every service. In the Book of Common Prayer, the larger print is the actual service; the smaller print provides directions to ministers and worshipers for conduct of the service. You will also find Hymnals and Bibles in your pew. You may wonder when to stand or kneel; take your cue from the bulletin and those around you, as you are comfortable. 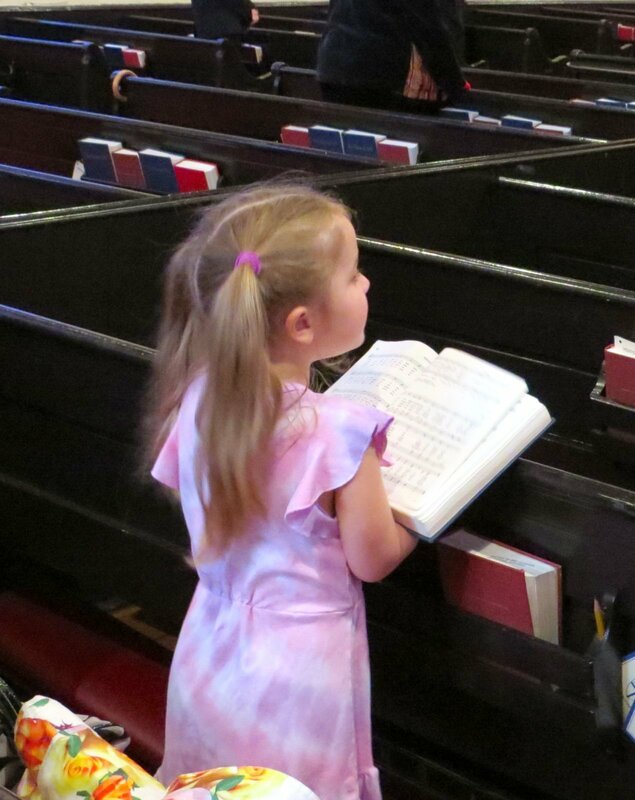 The general rule is to stand to sing hymns (found in the blue Hymnal in your pews) and other songs (many of them from the Holy Bible) called canticles or chants and printed as part of the service; to affirm our faith together in the Nicene Creed, and also to stand for the reading of the Gospel during the Holy Eucharist. Psalms are sung or said, sitting or standing. We sit during readings from the Old or New Testament Letters, the sermon, and the choir anthems. We stand or kneel for prayer to show our gratefulness to God for accepting us as children and as an act of humility before God. The principal service in our church is the Holy Eucharist (Holy Communion). All baptized Christians are welcome to receive Communion at God's table in the Episcopal Church; as your neighbors rise and go forward to partake, you may join them or not, according to your preference. As you kneel at the altar rail, you will be given a consecrated wafer and sip of wine. You may dip the wafer into the wine (called intinction), if you prefer that to drinking from the communal cup. Or, if you wish to receive a blessing in lieu of Holy Communion, come to the altar rail and so indicate by crossing your arms over your chest. While some parts of the services are always the same, others change. At the Holy Eucharist, for example, two or three Bible selections are read. These change each Sunday, as do readings from the Psalms. Certain prayers also change. Follow along in the bulletin, and do not be embarrassed to ask your neighbor for help. You will find the services of the Episcopal Church beautiful in their ordered dignity. They are consistently God-centered, yet mindful of the nature and needs of human beings. 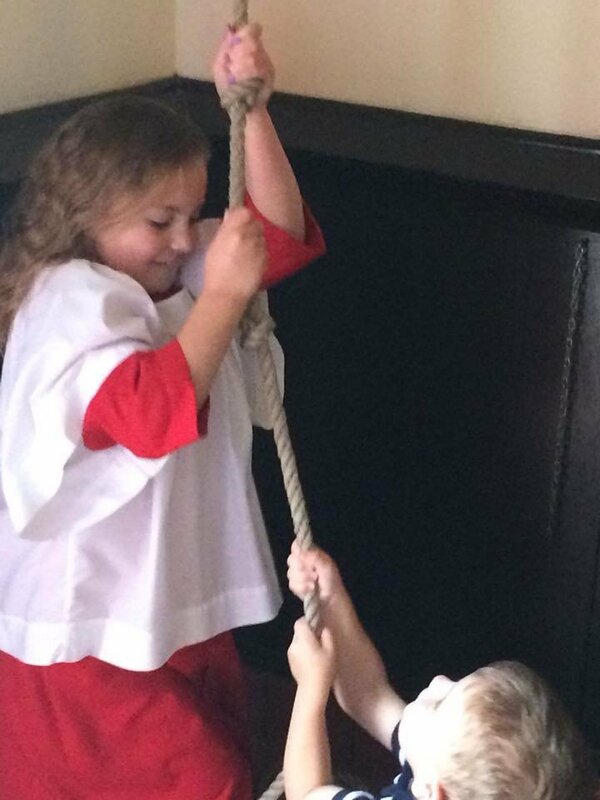 Customs vary in our church, depending on the tradition that is comfortable for each person. Many bow when they enter church and kneel in prayer before worship. Some also bow to the altar on entering and leaving the church as an act of reverence for Christ, but others do not. Most Episcopalians do not talk in church before a service but use this time for personal meditation and devotions. At the end of a service, some kneel for a private prayer before leaving while others listen to the organ postlude. At our 10:30 a.m. service, you will often be greeted by ushers. They will answer any questions you may have about the service. The clergy, acolytes and other service participants will enter and leave in a line from/to the back of the church. Our priest will greet people as they leave. After the 10:30 service ends, all are invited to "Coffee Hour" in the parish hall (exit to the front/right of the church); please join us - we'd like to meet you! To add to the beauty of the services and to signify their special ministries, the clergy and other ministers customarily wear what are called vestments. Choir vestments usually consist of an undergown called a cassock (usually black) and a white, gathered overgown called a surplice. The clergy may also wear cassock and surplice. Another familiar vestment is the alb, a white tunic with sleeves that covers the body from neck to ankles. Over it (or over the surplice), ordained ministers wear a stole, a narrow band of colored fabric. Deacons wear the stole over one shoulder, priests and bishops over both shoulders. At the Holy Eucharist, a bishop or priest frequently wears a chasuble (a circular garment that envelopes the body) over the alb and stole. The deacon's corresponding vestment has sleeves and is called a dalmatic. Bishops sometimes wear a special head covering called a mitre. Stoles, chasubles, and dalmatics, as well as altar coverings, are usually made of rich fabrics. Their color changes with the seasons and holy days of the Church Year. The most frequently used colors are white, red, violet, and green. 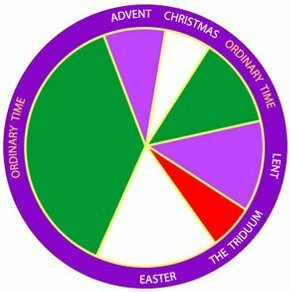 The Episcopal Church observes the traditional Christian calendar. The season of Advent, during which we prepare for Christmas, begins on the Sunday closest to November 30. Christmas itself lasts 12 days, after which we celebrate the feast of the Epiphany (January 6). Lent, the 40 days of preparation for Easter, begins on Ash Wednesday. Easter season lasts 50 days, concluding on the feast of Pentecost. During these times the Bible readings are chosen for their appropriateness to the season. During the rest of the year—the season after Epiphany and the long season after Pentecost (except for a few special Sundays)—the New Testament is read sequentially from Sunday to Sunday. The Old Testament lesson corresponds in theme with one of the New Testament readings. 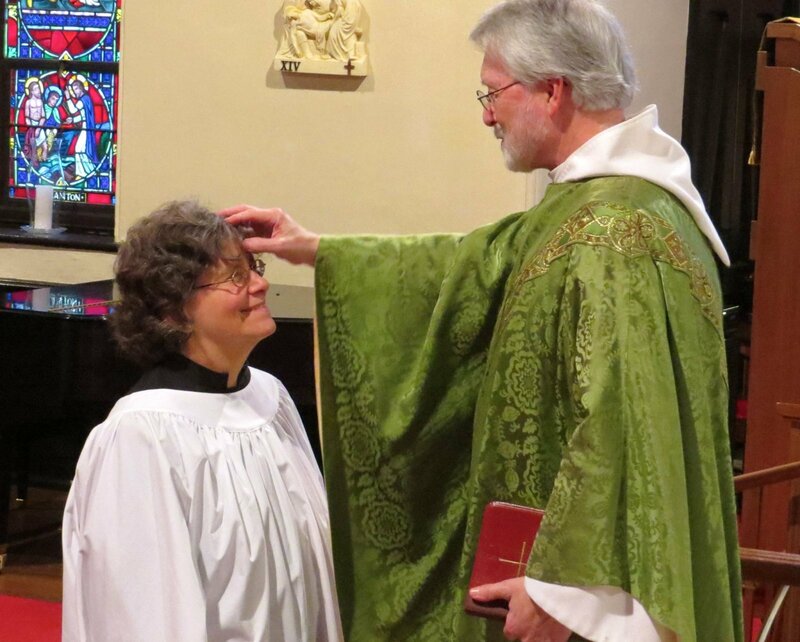 If you wish to know more about the Episcopal Church or how to join our church, our priest will gladly answer your questions and suggest the way to membership. People need to know what is expected of them. 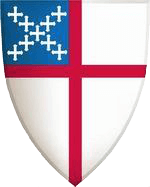 People who are members of the congregation, those in process of becoming Episcopalians, and those checking us out on our web site need to know about membership requirements. For example, if one wishes to become a member of a civic or fraternal organization, there are clearly stated requirements; the requirements for being in good standing are clear, too. Ascension's vision statement is, "In the name of Christ, we embrace all people to be nourished and empowered by the Holy Spirit to love and serve the world." For us to bring about that vision, our expectations are that each of us will commit to a life of Worship, Service, Prayer and Sacrifice. In other words, we are expected to worship in community on a weekly basis. We are to serve each other and the church in its reconciling mission to the world. We are to pray daily for God's transformation of us so that we may become more Godly servants. And, finally, we are to give of our time, talent and treasure for the spread of kingdom of God.